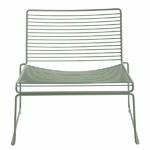 Hay’s Hee lounge chair is a contemporary design classic that features an airy metal structure resembling a three-dimensional line drawing. 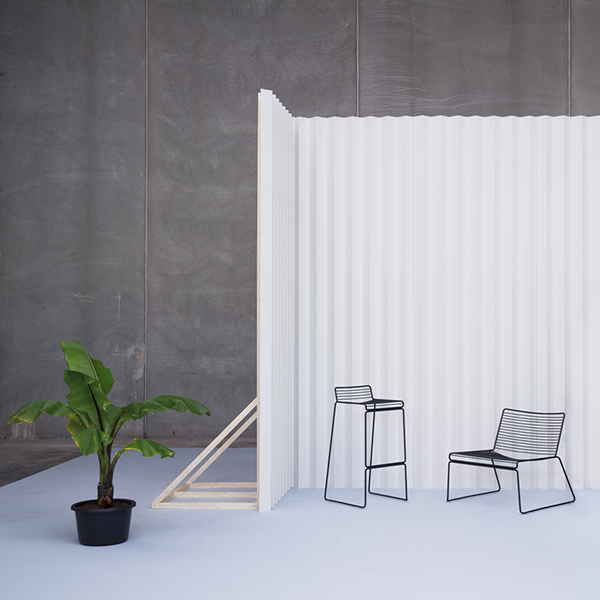 Designed by Hee Welling, the dining chairs, lounge chairs, and bar stools of Hee range will stand the test of time due to their minimalist design and sturdy material: the electro-galvanized and powder-coated steel wire frame makes them suitable also for outdoor use. What’s more, the Hee collection comes in an array of colours fit for any modern décor. Hee Welling is a Danish designer who graduated as a designer from the Danish Design School in Copenhagen in 2003, specialising in product and furniture design. Hee Welling’s designs are deeply rooted in the Scandinavian design tradition, which is evident in his simple, functional and refined designs. Form and function are the two important guidelines in his works. Immediately after graduation he established Hee Welling Design Studio in Copenhagen. Besides working in his own studio, Hee Welling also teaches international students at the Danish Design School . Hee Welling’s work has been exhibited at fairs in Cologne, London, New York, Milan, Singapore, Stockholm and Tokyo. Hee Welling’s most famous design is the Hee chair, available in different versions – Hee dining chair, Hee lounge chair and Hee bar chair – and colours. The idea for the Hee chairs derives from an ambition to make an eco-friendly chair where the materials are easily recyclable. The starting point was to make a cool and basic chair that would fit most locations – modern but not so typical of the period, that it does not have a long life. There is nothing superfluous or ornamented about the chair and nothing can be removed without losing the function. The chair has a playful expression but does not let the design compromise its purpose. 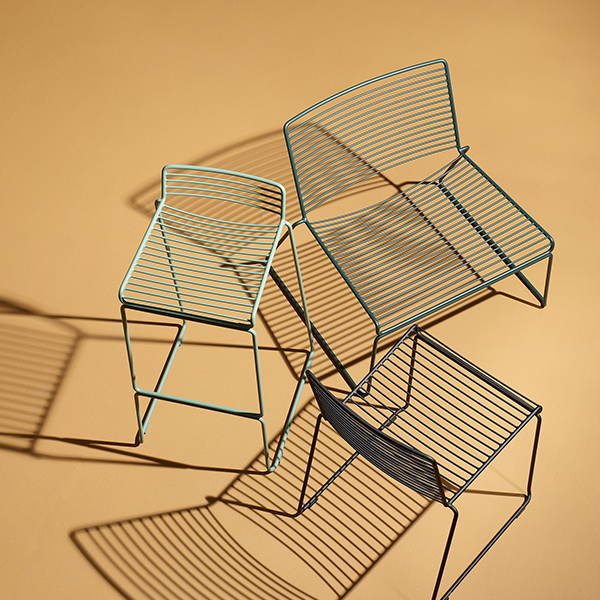 The chair is made from 11 mm metal wire and the form refers to a sketch - a pencil drawing in three dimensions. The Hee chair is, among other places, being used in the new Oslo Opera and at the Australian Parliament. 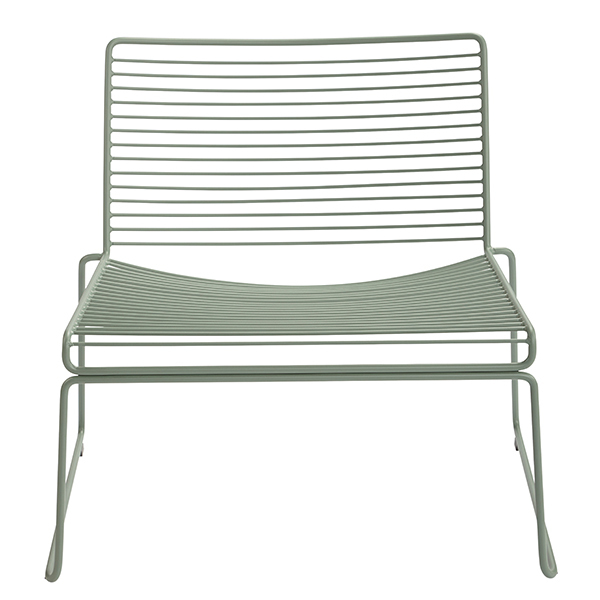 The chair is stackable and suitable for outdoor use as well.